Oklahoma City • Ricky Rubio has played for gold medals and world championships overseas, where it’s common for more rowdy fans to throw coins at the players. On that criterion alone, the Utah Jazz point guard said Tuesday, Europe is probably the harder place to play. But there’s a definite edge to the playoffs, said Rubio, who is in the NBA postseason for the first time in his seven seasons. The tension is higher on each and every possession, and in that way, his European and international experiences might fall a little bit short. In his first career playoff game, Rubio readily admits that he made mistakes. What popped off the stat sheet from his 13-point, seven-rebound, five-assist Game 1 effort was the number of shots he took: 18. He made only five. 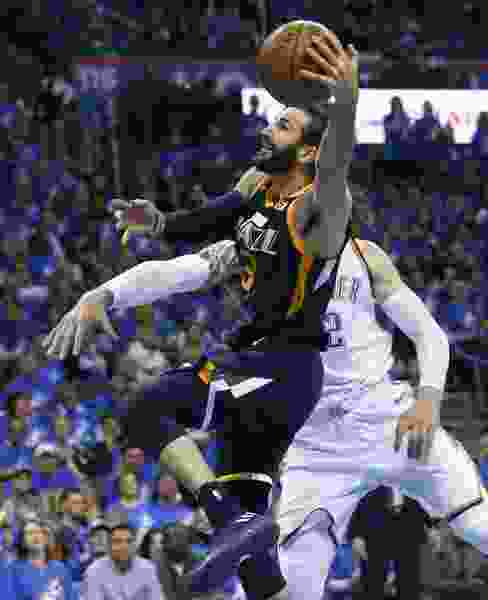 Some of that can be attributed to the habits from earlier in the season, when he hunted his own shots rather than waiting for open shots to come his way in the context of the Jazz offense. Only four of his shots came at the rim. NBA tracking data indicated that 12 of his 18 shots came off three or more dribbles — in Utah’s system, it’s more common to produce shots from ball movement rather than off the dribble. It’s not conjecture. Rubio acknowledged that he took too many ugly shots. As the game went on, Rubio was able to curb some of his early tendencies: He only took six shots after halftime, and he had three of his five assists in the second half. Ironically, Rubio may have fallen into the same pitfall that the Jazz want someone else to fall into: Russell Westbrook. In Game 1, the Thunder star scored 29 points, but he took 25 shots. That’s consistent with the ratio the Jazz would like to see from the reigning MVP, and Rubio is a major part of that plan. Rubio, on the other hand, has a mandate to take as many shots as are open. He’s shooting a career-high 35 percent from the 3-point line and finishing better than he ever has with his jumper. But as Utah’s primary distributor, he can’t get too carried away.